Melbourne currently holds the “world’s most liveable city” status, and the sunny Australian landscape certainly helps. Faced with the millennium drought, Melbourne had to find a way to effectively approach the challenges of climate change and a growing population whilst maintaining their liveable city status. They accomplished this through sharing knowledge, resources, and community involvement. After the drought, a greater emphasis was put on alternative water supplies – from desalination to stormwater harvesting for non-potable use – recognising cultural and social values as well as environmental and economic drivers. A significant reason that Melbourne made it through the millennium drought successfully was the conservation action taken by the community. This was supported by infrastructure improvements such as reducing leaks in the water supply. A successful community education and action campaign provided a clear challenge to achieve a water use target of 155 L/person/day, supported by regular updates and reinforcing the importance of individual contributions. 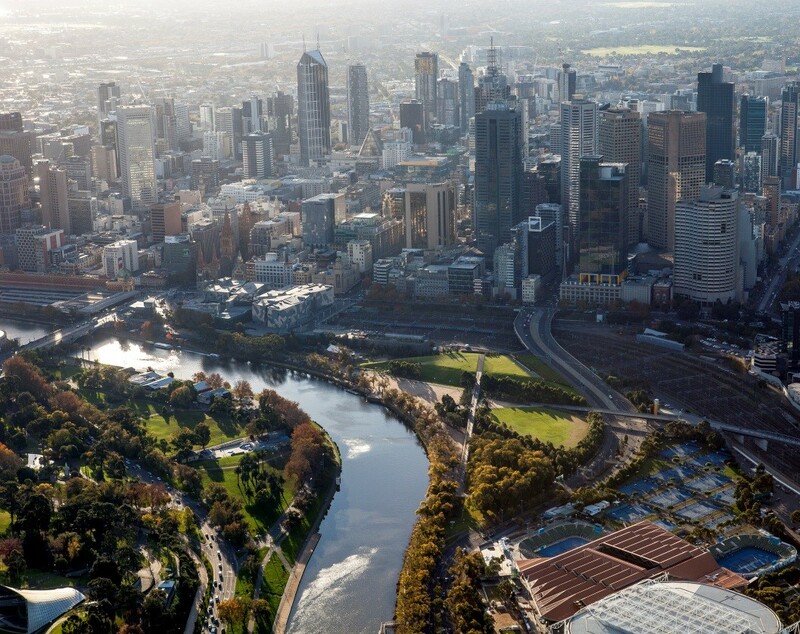 By continuing to build on a collaborative culture with a proactive and adaptive approach to managing their water supply and river health, Melbourne is focused on meeting the challenges of the future. With a population that is expected to grow to over 10 million by 2051 and a climate that will get hotter, drier and more variable, tough choices and trade-offs are inevitable. Adopting the UN Sustainable Development Goals and the Resilient Melbourne strategy are two examples of the actions that will help Melbourne succeed. Do you want to know more about Melbourne's Water-Wise Story? Droughts, stormwater pollution and water supply challenges. Drier and hotter climates in the future, along with growing populations. Prior to the millennium drought (1997 to 2009) it was assumed that Melbourne’s water supply was robust. Water supply from forested catchments and dams provided low cost protection against a variable climate. From 2006, in the midst of the drought, it became apparent that the supply was not as robust as once thought. 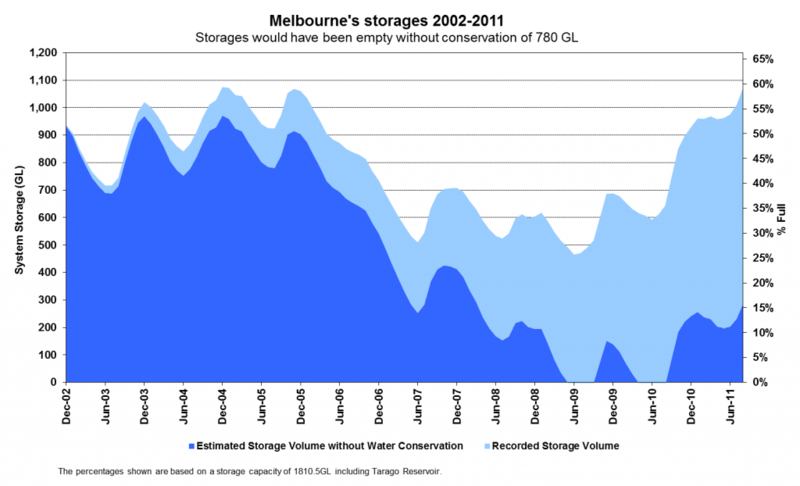 From 1996 to 2006 there was a gradual but continuous decline in Melbourne’s water storage levels due to the decreased rainfall, especially in the historically high run-off periods of late winter and spring. Actual storage levels dropped to around 25% of total volume in June of 2007, 2008 and 2009. This equates to 1 year of supply. Without the major water consumption reduction measures implemented, it was projected that water storage levels would have dropped below 15%, 10% and 0% for the same periods. 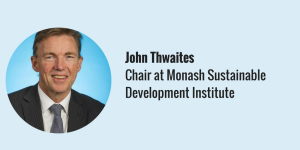 These serious impacts from the drought drove alignment of purpose and effort around water management, which resulted in a step change in community and industry perceptions of water security. Melbourne now has a more inter-connected and collaborative water industry that recognises the key role water plays in a liveable, healthy, prosperous community. Melbourne effectively approaches the challenges of climate change and population growth whilst maintaining the world’s most liveable city status through sharing knowledge, resources, and community involvement. After the millennium drought, greater emphasis was put on alternative water supplies – from desalination to stormwater harvesting for non-potable use – recognising cultural and social values as well as environmental and economic drivers. A significant reason that Melbourne made it through the Millennium drought was the conservation action taken by the community. This was supported by infrastructure improvements such as reducing leaks in the water supply. 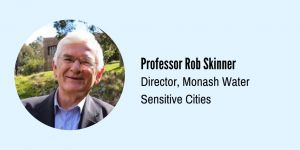 By continuing to build on a collaborative culture and with a proactive and adaptive approach to managing water supply and river health, Melbourne is focused on meeting the challenges of the future. With a population that is expected to grow to over 10 million by 2051 and a climate that will get hotter, drier and more variable, tough choices and trade-offs will need to be made. Adopting the UN Sustainable Development Goals and the Resilient Melbourne strategy are two examples of the actions that will help Melbourne achieve this. This strategy recognises the social, economic and environmental contribution that plants and green spaces make to the city. 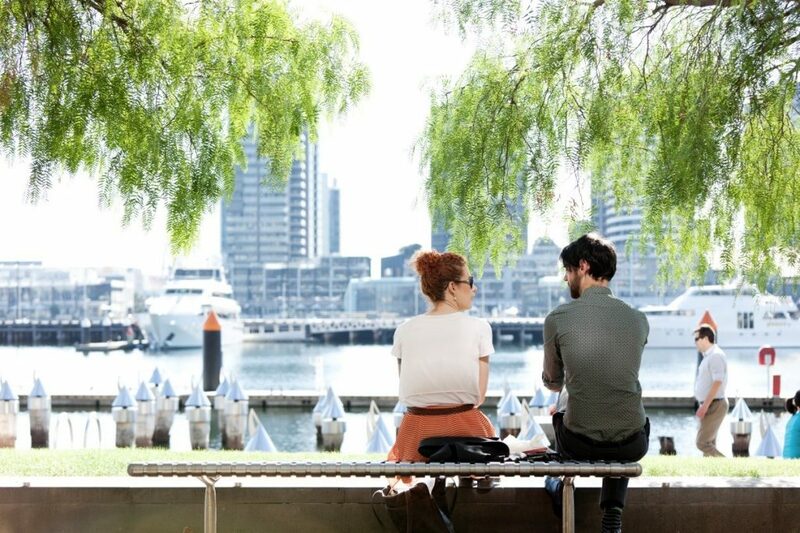 The strategy’s goal is to make Melbourne greener – to create a city within a forest rather than a forest within a city, promoting a resilient and liveable city. The City’s sustainable water strategies and projects support the Urban Forest by: providing a reliable source of water for irrigation, resulting in increased canopy cover, biodiversity and urban cooling; increasing permeability and soil moisture; redirecting stormwater for irrigation use and to replenish groundwater; and increasing the amount of vegetation in the city. •	Environmental flow regulations administrated by State and Federal agencies. •	Third pipe schemes using recycled water through new housing developments.  •	Public and business water efficiency education campaigns. •	Renewable energy from wastewater treatment: by-products and mini hydros. •	Stormwater harvesting and reuse projects managed by council, water authorities and private agencies. •	Rainwater tank incentives as part of the building code. •	IWM forums and plans at regional and local scales being developed as part of the new Water Plan. •	IWM plans tailored to meet the particular needs of local areas. Water is fundamental to our communities. We will manage water to support a healthy environment, a prosperous economy and thriving communities, now and into the future. Collaborative policy development and joint action to deliver multiple benefits for each catchment. State Government Water Plan provides for Integrated Water Management Plans to be developed at regional and local scales. Building knowledge and capacity within and between agencies and the community.  Connecting locally, nationally and internationally to teach and learn. High level commitment to developing leadership capacity. Cooperative Research Centre for Water Sensitive Cities, funded from all levels of government and industry. Legislated catchment and water cooperation plans. State and local land use planning clauses. Updating flood models, tools and flood overlays. Water system optimisation models including climate change scenarios. Looking for least cost, maximum benefit solutions that may be beyond business as usual approaches to become a resilient city that remains the world most liveable in the face of a changing climate.over the next four years towards the project.